"Red Prince" redirects here. For other uses, see Red Prince (disambiguation). "Hassan Salameh" redirects here. For the 1948 Palestinian commander, see Hasan Salama. The Black September Organization (BSO) was a Palestinian terrorist organization founded in 1970. It was responsible for the assassination of the Jordanian Prime Minister Wasfi Tal, and the Munich massacre, in which eleven Israeli athletes and officials were kidnapped and killed, as well a West German policeman losing his life, during the 1972 Summer Olympics in Munich, their most publicized event. These events led to the creation or specialization of permanent counter-terrorism forces in many European countries. Salameh was born in the Palestinian town of Qula, near the city of Jaffa, to a wealthy family in 1940. He was the son of Shaykh Hassan Salameh, who was killed in action by the Israeli army during the 1948 Palestine war near Lydda. Ali Salameh was educated in Germany and is thought to have received his military training in Cairo and Moscow [ citation needed ]. Qula was a Palestinian village in the Ramle Subdistrict of Mandatory Palestine. It was located 15 km northeast of Ramla and was depopulated during the 1948 Arab-Israeli War. Hasan Salama or Hassan Salameh was a commander of the Palestinian Holy War Army in the 1948 Palestine War along with Abd al-Qadir al-Husayni. He was known for flaunting his wealth, being surrounded by women and driving sports cars, and having a very popular appeal among Palestinian young men; his nickname underlined his popularity—the "Red Prince." He served as the security chief of Fatah. After the Munich Massacre during the 1972 Olympic Games, he was hunted by the Israeli Mossad during Operation Wrath of God. In 1973, Mossad killed an innocent Moroccan waiter, Ahmed Bouchiki, in what became known as the Lillehammer affair in Norway, mistaking Bouchiki for Salameh, and resulting in the arrest of some of the Israeli agents. Georgina Rizk is a Lebanese model, socialite and beauty queen. She was crowned Miss Lebanon 1970 and represented Lebanon at Miss World but failed to place. Months later, 1971, she represented Lebanon at Miss Universe and won. She is currently a main beauty pageant judge for the Miss Lebanon contest and is the current wife of Lebanese singer and actor Walid Toufic. The Lebanese people are the people inhabiting or originating from Lebanon. The term may also include those who had inhabited Mount Lebanon and Anti-Lebanon mountains prior to the creation of the modern Lebanese state. The religious groups among the Lebanese people are Shias (27%), Sunnis (27%), Maronites (21%), Greek Orthodox (8%), Melkites (5%), Druze (5.6%), Protestants (1%). There is a large diaspora in North America, South America, Europe, Australia and Africa. 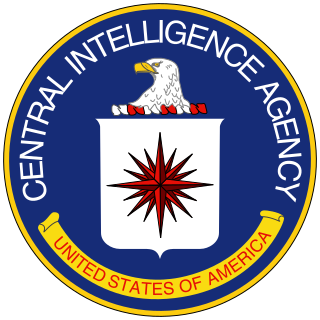 The Central Intelligence Agency is a civilian foreign intelligence service of the federal government of the United States, tasked with gathering, processing, and analyzing national security information from around the world, primarily through the use of human intelligence (HUMINT). As one of the principal members of the United States Intelligence Community (IC), the CIA reports to the Director of National Intelligence and is primarily focused on providing intelligence for the President and Cabinet of the United States. It is believed  a Mossad agent, pseudonymously known as "Erika Chambers", a British citizen, took part in Salameh's assassination. She travelled to the Middle East with a charity supporting Palestinian refugees and arranged a meeting with Salameh in Beirut, where Salameh was being harbored by the Lebanese government. Chambers learned Salameh's daily routine. Erika Chambers is the assumed pseudonym of the Mossad agent behind the action on January 22, 1979 that killed Ali Hassan Salameh, leader of Black September and lead plotter behind the Munich massacre. Ali Hassan Salameh was featured in the plot of the Steven Spielberg film Munich as one of the assassination targets. He is seen twice but was not assassinated until after the events of the film. Bar-Zohar, Michael; Eitan Haber (1983). The Quest for The Red Prince: The Israeli Hunt for Ali Hassen Salameh the PLO leader who masterminded the Olympic Games Massacre. Weidenfeld & Nicolson. ISBN 978-0-297-78063-2. which includes black-and-white photographic plates and which also include Yasser Arafat, together with an index. Michael Bar Bar-Zohar and Eitan Haber (1 December 2005). Massacre in Munich: The Manhunt for the Killers Behind the 1972 Olympics Massacre. The Lyons Press. ISBN 978-1592289455. 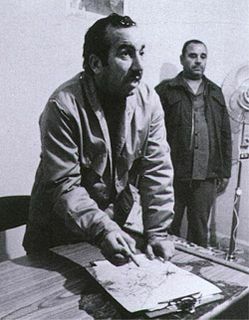 The Lillehammer affair was the killing by Mossad agents of Ahmed Bouchikhi, a Moroccan waiter and brother of the renowned musician Chico Bouchikhi, in Lillehammer, Norway, on 21 July 1973. The Israeli agents had mistaken their target for Ali Hassan Salameh, the chief of operations for Black September. Six of the Mossad team of fifteen were captured and convicted of complicity in the killing by the Norwegian justice system, in a major blow to the intelligence agency's reputation. Imad Fayez Mughniyeh, alias al-Hajj Radwan, was the founding member of Lebanon's Islamic Jihad Organization and number two in Hezbollah's leadership. Information about Mughniyeh is limited, but he is believed to have been Hezbollah's Chief of Staff and understood to have overseen Hezbollah's military, intelligence, and security apparatuses. He was one of the main founders of Hezbollah in the 1980s. He has been described as "a brilliant military tactician and very elusive". Khalil Ibrahim al-Wazir was a Palestinian leader and co-founder of the nationalist party Fatah. As a top aide of Palestine Liberation Organization (PLO) Chairman Yasser Arafat, al-Wazir had considerable influence in Fatah's military activities, eventually becoming the commander of Fatah's armed wing al-Assifa. Jalloul "Chico" Bouchikhi is a musician and a co-founder of the Gipsy Kings. He later left the Gipsy Kings and founded Chico & the Gypsies. 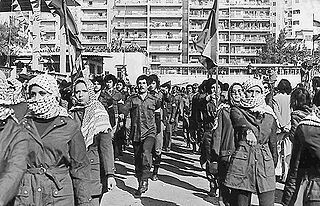 The 1973 Israeli raid on Lebanon took place on the night of April 9 and early morning of April 10, 1973, when Israeli army special forces units attacked several Palestine Liberation Organization (PLO) targets in Beirut and Sidon, Lebanon. 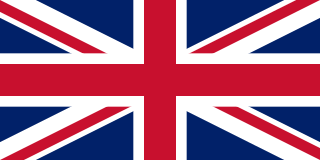 The operation is generally considered to have been part of Operation Wrath of God, Israel's retaliation for the Munich massacre at the Summer Olympics in 1972. Force 17 was a commando and special operations unit of the Palestinian Fatah movement and later of the Office of the Chairman of the Palestinian Authority. It was formed in the early 1970s by Ali Hassan Salameh. Initially, the group was housed in building 17 of Al-Fakhani Street in Beirut. 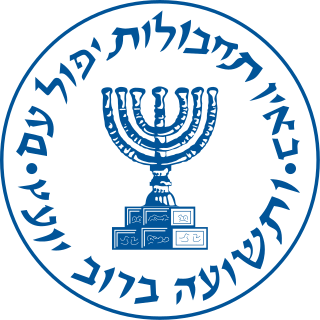 Operation "Wrath of God", also known as Operation "Bayonet", was a covert operation directed by the Mossad to assassinate individuals involved in the 1972 Munich massacre in which 11 members of the Israeli Olympic team were killed. The targets were members of the Palestinian armed militant group Black September and operatives of the Palestine Liberation Organization (PLO). Authorized by Israeli Prime Minister Golda Meir in the autumn of 1972, the operation is believed to have continued for over twenty years. Atef Bseiso was the Palestine Liberation Organization's (PLO) liaison officer with foreign intelligence agencies. He was assassinated in Paris in 1992. Several theories exist regarding the reason for his murder. According to one, alleging he played a role in the 1972 Munich Olympics massacre, his execution was part of the Wrath of God Operation. Others argue it was an Israeli operation aiming to disrupt relations of the PLO with Western intelligence agencies. The PLO denied Bseiso had any connection to the Munich operation. Michael Harari was an Israeli intelligence officer in the Mossad. He was involved in several notable operations, including the failed Lillehammer affair and the rescue of hostages at Entebbe. Sylvia Raphael Schjødt was a South African-born Israeli Mossad agent, convicted of murder in Norway for her involvement in the Lillehammer affair. Kamal Abdel Hafiz Adwan, also spelt as Kamal Udwan, was a Palestinian politician and one of the top leaders in the Palestinian Liberation Organization. He was killed by Mossad, the Israeli intelligence service, in April 1973. 1 2 3 4 Noam Shalev (24 January 2006). "The hunt for Black September". BBC News Online . 1 2 "An Eye For An Eye". CBS News . 11 February 2009. Retrieved 17 August 2012. 1 2 "How MOSSAD got the Red Prince". The Montreal Gazette. Retrieved 3 October 2013. ↑ Simon Reeve (2000). One Day in September: The Full Story of the 1972 Munich Olympics Massacre and the Israeli Revenge Operation "Wrath of God". Arcade Publishing. p. 189. ISBN 978-1-55970-547-9. ↑ David Ignatius (12 November 2004). "In the end, CIA-PLO links weren't helpful". U-T San Diego . ↑ David Ignatius (16 September 2001). "Penetrating Terrorist Networks". Washington Post. p. B07. ↑ "Munich (3): BBC set to name woman agent who killed Olympics massacre mastermind". 24 January 2006. ↑ John Weisman (18 July 2006). "Conspiracy Theory". Archived from the original on 1 October 2012. Retrieved 18 July 2012. 1 2 3 "Death of a Terrorist". Time Magazine . 5 February 1979. Retrieved 17 August 2012. ↑ Simon Reeve (1 September 2000). One day in September. Arcade Publishing. ISBN 978-1559705479. 1 2 "Munich massacre leader killed in Beirut explosion". Observer Reporter. Beirut. AP. 23 January 1979. Retrieved 18 December 2012. ↑ "Funeral held for Salameh". The Leader Post. Beirut. 25 January 1979. Retrieved 18 December 2012. ↑ David Ignatius (17 September 1997). Agents of Innocence. The Journal of Risk and Insurance. 64. W. W. Norton & Company. pp. 205–230. ISBN 978-0393317381. JSTOR 253729. ↑ Robert Ludlum (1 July 2008). The Janson Directive. St. Martin's Paperbacks. p. 581. ISBN 978-0312945152.